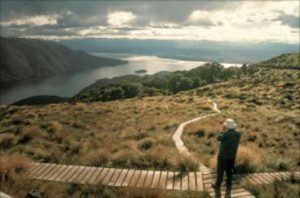 Temporary visas allow people to work, study and visit New Zealand for a set period of time and in some cases have the ability to lead to permanent residence. A New Zealand temporary visa can also be granted while you are waiting for your residence application to be processed. If you are unsure whether you need one of the above temporary visas for your stay in New Zealand then you should consult a licensed immigration advisor in order to ensure that you are in New Zealand legally at all times, and to verify what are the exact visa requirements for your visa applications with Immigration New Zealand. The most popular way to gaining New Zealand permanent residence is based on skilled migration. All students who are not New Zealand Citizens or Residents must apply for a student visa in order to study or attend school in New Zealand. Work to residence is initially a temporary work visa which can lead to New Zealand permanent residence after working on this visa for at least 24 months. If you are looking to holiday in New Zealand, or wish to visit family and friends, then you can do so on a New Zealand visitor’s visa. If you have family permanently residing in New Zealand, or are in a relationship with a New Zealand citizen or resident, then you may be eligible to apply for a temporary and/or permanent residence visa under this category.